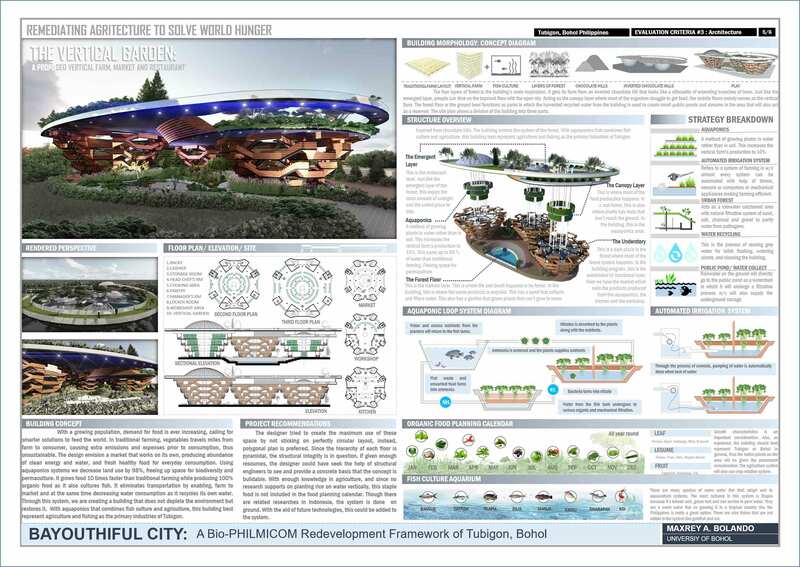 At par with leading universities and colleges in the country, the University of Bohol (UB) - College of Architecture claimed a slot in the 2018 National Architectural Thesis Competition when its thesis project entry was adjudged as among the Ten Most Outstanding Undergraduate Architectural Thesis Projects in the Philippines. 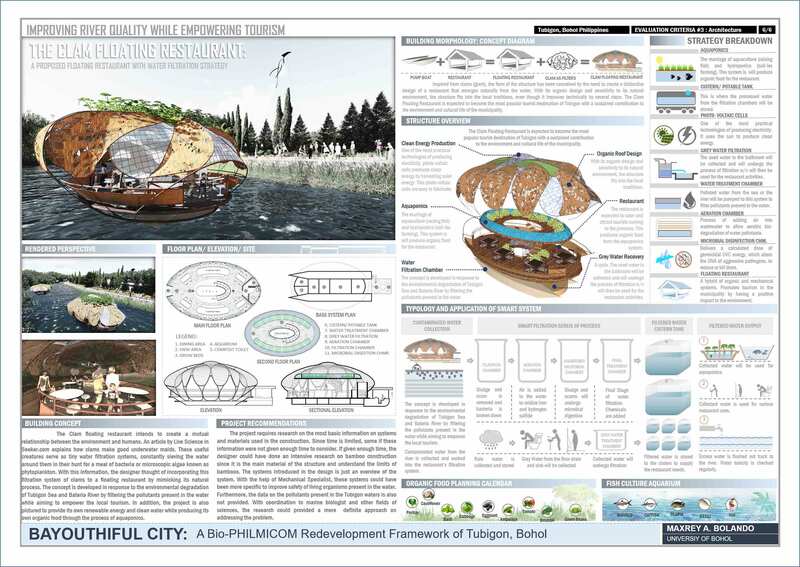 Dean German Torero of the College of Architecture and Fine Arts disclosed that "Bayouthiful City", the thesis project of Maxrey A. Bolando, a senior Architecture student of UB, got the nod of the panel of judges during the final judging held last June 18-29, 2018. 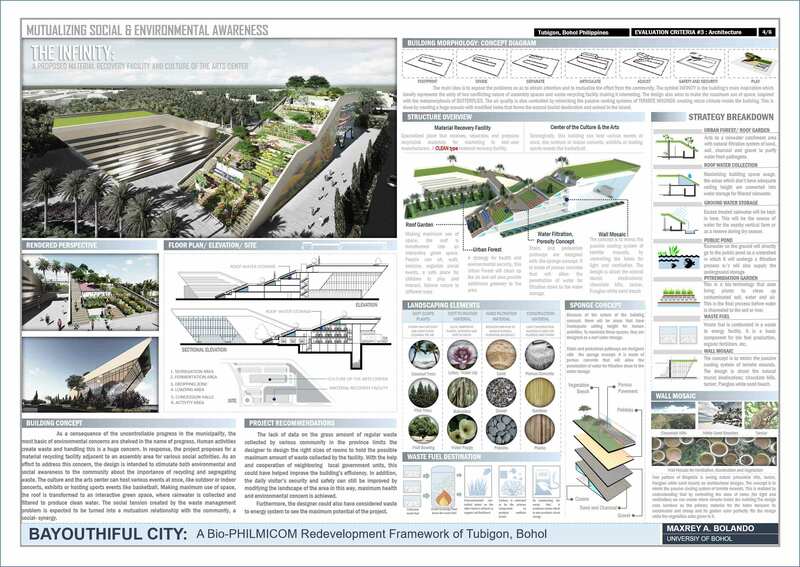 Bayouthiful City is a bilingual term, coined by combining the three words: ‘Bayot', a Boholano word that directly translates to ‘gay' meaning joy and happiness; ‘Youth', as the project aims to create a healthful ecology for children; and ‘Beautiful' because it envisions building a beautiful place for the animate species as well as, implicitly, the inanimate. Thus, "A place for happy, beautiful children." Maxrey together with his mentors from the UB College of Architecture and Fine Arts. 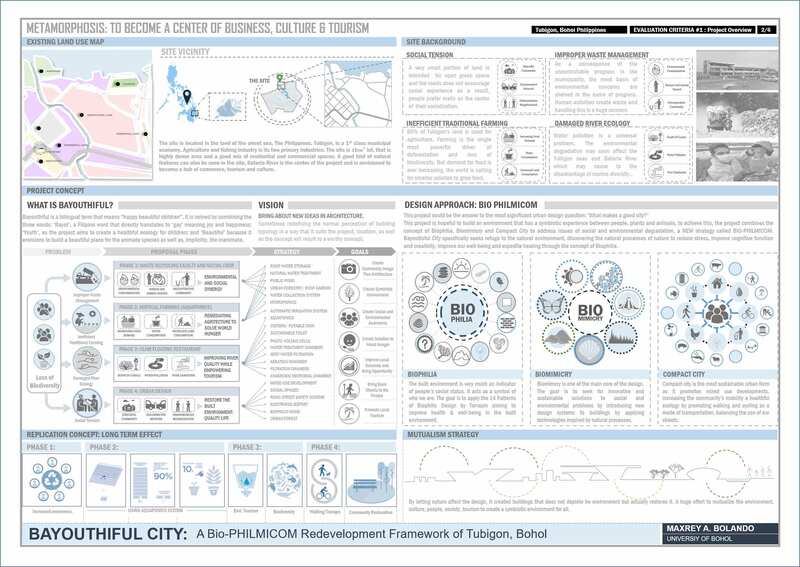 The project combines the concept of Biophilia (innate desire to be with nature), Biomimicry (innovations inspired from nature) and Compact City (the most sustainable type of urban design) to address issues of social and environmental degradation, a new strategy of the designer called BIO-PHILMICOM. 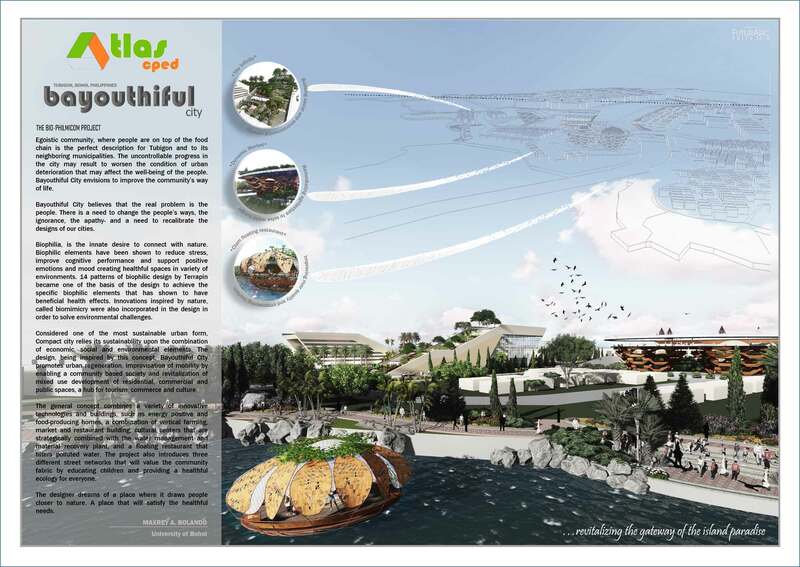 Bayouthiful City specifically seeks refuge to the natural environment, discovering the natural processes of nature to reduce stress, improve cognitive function and creativity, improve our well-being and expedite healing through the concept. 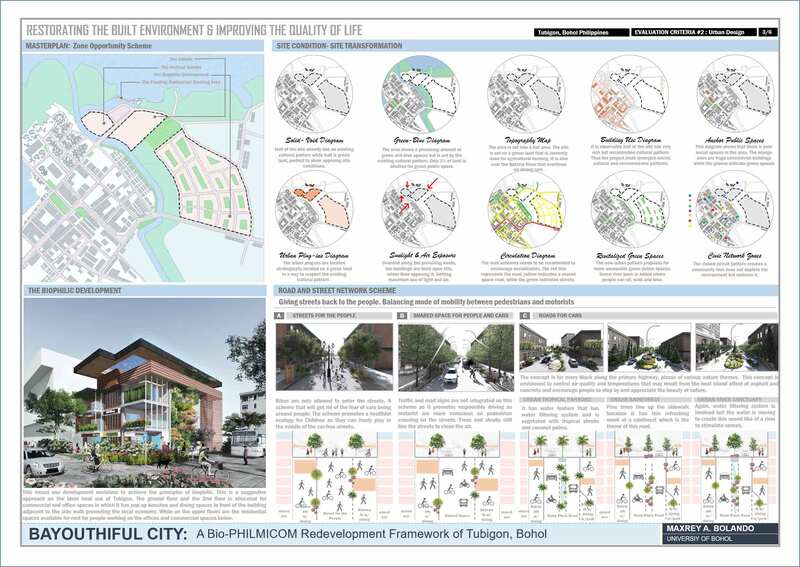 The search for the Ten Most Outstanding Undergraduate Architectural Thesis Project in the Philippines is under the auspices of Atlas Center for Professional Enhancement and Development. The top ten finalists will each receive P17,500 Review Scholarship from ATLAS-CPED Review Center and plaques of recognition. Architect-Mentors/Advisers will likewise receive plaques of recognition (mentors could earn CPE points). The awarding will be held within the month of July to coincide with the testimonial for board exam topnotchers and passers.